The fear of widespread vector-borne diseases is spreading panic among the people. The hospitals, both government and private, are full with patients. 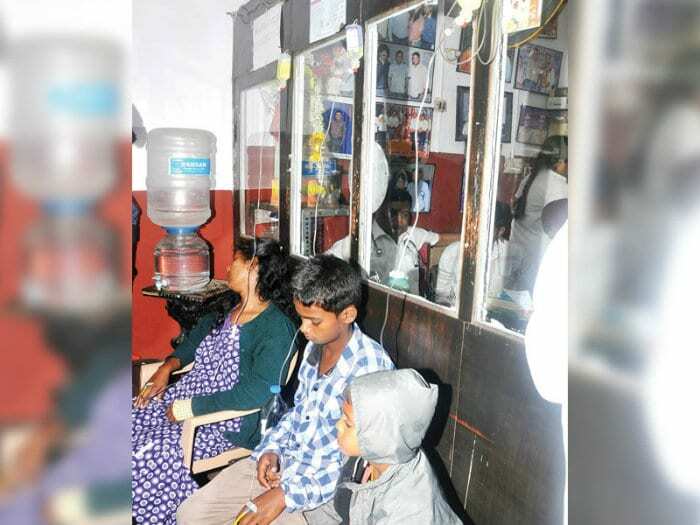 Even though the scene is the same outside a private clinic in Siddarthanagar, the patients flocking the clinic are going back with great relief. Sri Manjunatha Clinic on T. Narasipur Main Road (Male Mahadeshwara Road) in Siddarthanagar (near Mysore Dairy) is run by Dr. Bellipadi Satish Rai. Unlike many private hospitals and nursing homes who cash in on such bleak situations, Dr. Rai is treating the patients afflicted with Chikungunya and Dengue free of cost, since the past 25 days and setting an example for others to follow. The people-friendly doctor, Dr. Rai is also distributing free medicines to very poor patients. He charges fees for patients who are economically sound and use it for the treatment of poor patients. The patients who are cured from the doctor’s treatment, in turn tell it to others. Thus, by word of mouth, people flock to Dr. Rai’s clinic. Since there is no particular treatment for Dengue, each doctor treats the patient based on his experience. Similarly, Dr. Satish Rai, using allopathic medicines, treats and cures the patients. What is so unique about the treatment of Dr. Rai that he is able to cure the patients? There was Chikungunya scare in 2007 and Dengue scare in 2010 in Mysuru city. “Even I suffered from Dengue and it was a hellish experience. I tried my best to get a definite cure. I tried contacting many experts but could not get any information. Then I experimented with allopathic medicines through drip and within three days, I was cured. There were no side effects. The same method I am using for my patients,” said Dr. Rai. Does it mean one treatment cures all? Dr. Rai cautions. “It does not mean that this is a definitive cure for all patients. 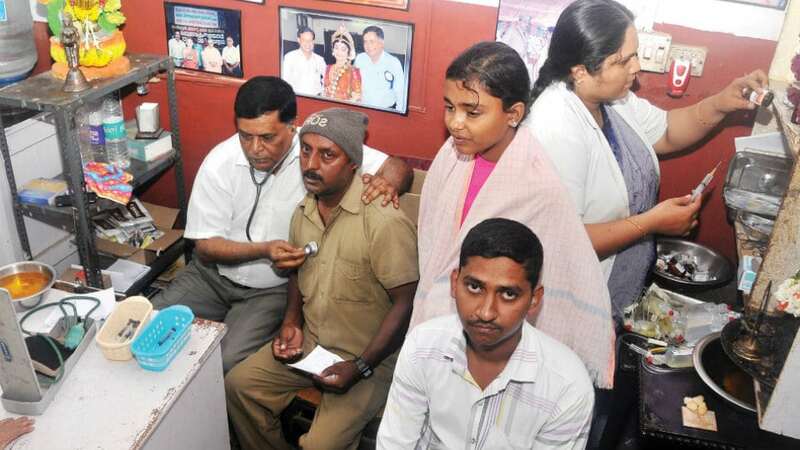 However, with the treatment I am giving, patients with Chikungunya and Dengue are getting cured,” Dr. Rai told Star of Mysore. 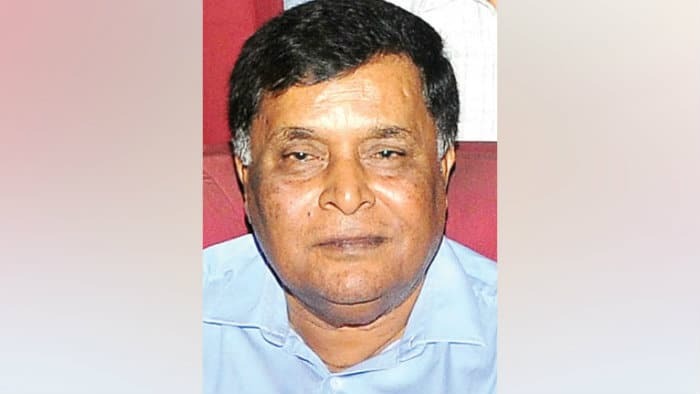 Dr. B. Satish Rai was born to a very rich family, who owned thousands of acres of land at Perne village in Puttur Taluk, Dakshina Kannada district. However, following the Land Reforms Act his father Narayana Rai lost all the properties in 1962 and the family was in dire straits. He lost his father in 1968 while he was doing his final year MBBS in Mysore Medical College. He was forced to earn his own money to complete the degree. Hence, Dr. Rai started a clinic in Siddarthanagar and began private practice. He is continuing his practice in the same clinic since then. Along with practicing Medicine, he was also Home Guard Commandant for 25 years. A littérateur and a poet, he has produced 21 works. The ninth edition of his ‘Gitamritha Vahini’ is going to be released next month. Rush of patients in front of Sri Manjunatha Clinic on the busy T. Narasipur Main Road in Siddarthanagar near Mysore Milk Dairy. Through his Bellipadi Yaksha Samskrithika Trust, Dr. Rai, himself a Yakshagana artiste, is promoting this traditional art. Involving himself with other doctors and the Forest Department, he has spread awareness regarding health and environment. Drip treatment for Dengue patients. People are scared of spread of viral diseases. There is also fear for life. Hence, it is very important to counsel such anxious patients psychologically and give them mental confidence. We must instil in them the confidence that they will be cured with medicines, says Dr. B. Satish Rai. Every day nearly 350 patients from Udayagiri, Rajivnagar, Ghousianagar, Gayathripuram, Shanthinagar, Hunsur, Malavalli and Nanjangud come to my clinic. Majority will be cured within four to five days. If a patient is treated properly, then there is no need to be admitted to a hospital. Even if the white blood corpuscles has come down to less than 25,000 in patients, they can be treated with just medicines and cured, Dr. Rai explains. He passed medical degree in 1960s from Mysore medical college when medical colleges were not a business and donation seats and caste based reservation was not prevalent!! Also, he believes in serving the poor and one can measure this by the queue in front of the clinic! And you want take away his degree? I wished you had said that his head should be examined for still living up to morals and ethics which every doctor was supposed to uphold in the first place! Most unscientific way of giving injection. He is not sterilising the needle and giving the injection through the cloths. Anything with free badge works in India. God only can save our patients. SOM has done a commendable job of highlighting the noble motives of Dr. Satish Rai. It is not often one comes across a doctor today who is service minded today. Unfortunately on the social network there is a video of Dr Rai which gives a totally different picture of Dr. Rai. One is shocked the way injections are given through the dress. I do not know how the video was taken and who took the video. It looks as though the video was taken with some agenda. This episode serves as a poster child for “fake news”. One of these stories must be fake or we need more explanation for the video which may go viral. SOM story of the service provided by Dr. Rai sounds more compelling than the impression created by the video. I wish SOM will do a follow up story to clear the doubts of those who have seen the video.